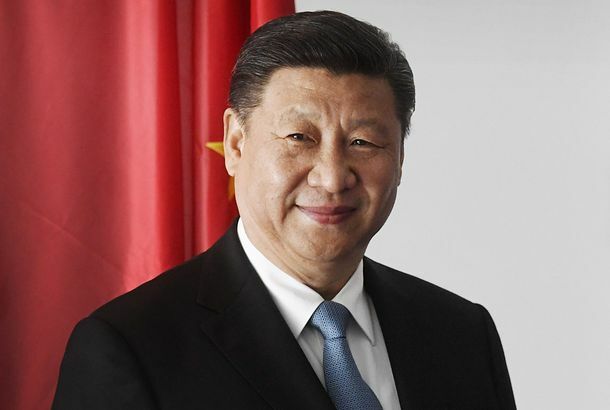 Did the Secret Service Catch a Chinese Spy in Mar-a-Lago?Yujing Zhang was caught sneaking into the president’s club carrying four phones, a laptop, and a thumb drive full of malware. The Trump Administration Is a Security SieveMar-a-Lago and the White House security clearance scandal make that clear. Talking With Lana Marks, Who’s Ready to Ditch Palm Beach for PretoriaTrump’s nominee for ambassador to South Africa wowed the president by throwing the perfect Mar-a-Lago wedding. Glimpse Into Palm Beach’s Secret World With Landon NordemanThe famed photographer trains his lens on the city’s bright colors, big characters, and even some Trumpettes. Trump’s Super Bowl Party Looks Extremely AwkwardThere were a lot of cheerleaders. Melania’s Escape to the Mar-a-Lago Spa Reportedly Cost Taxpayers $64,600The First Lady used the taxpayer-sponsored trip to indulge in some spa time at the members-only Mar-a-Lago spa. Trump’s Strategy for Avoiding a Shutdown: Head to Mar-a-LagoHe’s traveling to Florida for a campaign-fundraising gala just hours before the shutdown deadline, but he’ll be available to okay deals via tweet. Trump Is Still Happily Mixing Government Affairs With His Private BusinessesAnd not a single Republican elected official seems to care. Hurricane Irma Is Headed Right Toward Trump’s Mar-a-Lago ClubThe resort on Palm Beach, like the rest of the island, has been evacuated. Charities Are Pulling Their Events From Trump’s Mar-a-Lago ResortThe perceived toxicity of the president has spread to the winter White House. The Manager of a Landmark Restaurant Near Mar-a-Lago Is Also Facing DeportationAn online petition has already been signed by 5,400 people, including prominent Palm Beach residents. Sinkhole in Front of Mar-a-Lago Definitely Not the Gates of Hell or AnythingHow on-brand. 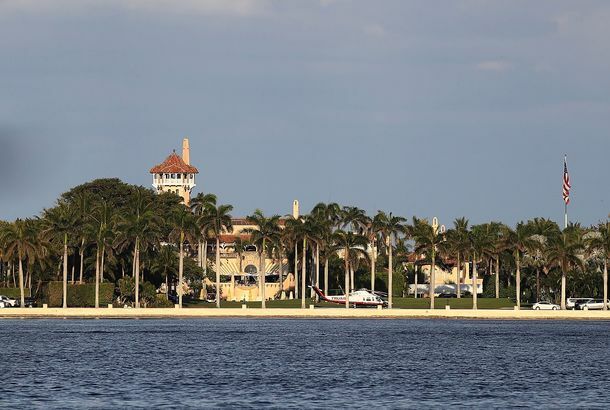 Trump’s Mar-a-Lago Resort Cited for Serious Health-Code ViolationsProbably not what new members had in mind when they ponied up the $200,000 in initiation fees. Trump’s Presidency ‘Enhances’ a $200,000 Mar-a-Lago MembershipBut the White House insists nobody is getting enhanced access to the president. Trump’s Lavish Lifestyle Is a Drain on Taxpayers — and a Gift to DemocratsTrump’s voters thought a billionaire wouldn’t need to bilk them. Now, he’s on pace to charge taxpayers hundreds of millions for his weekend getaways. Mar-a-Lago Members’ Social Media Is the Best Source for Trump NewsEven when he’s conducting official national-security business.